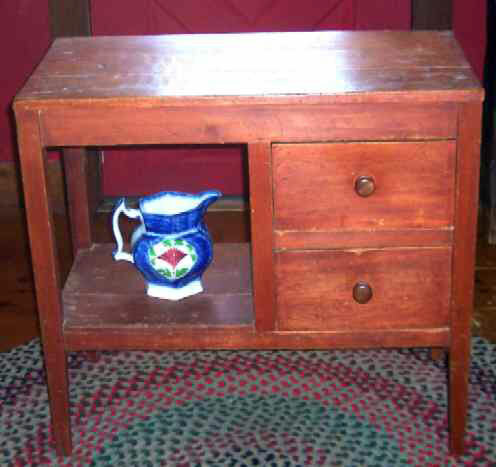 Presented here, a very simple and straightforward little two drawer stand from Vermont. 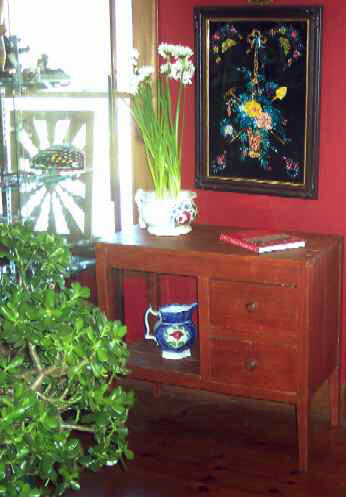 Made of Pine with hand wrought nails, it retains it's red paint which is more like a red wash. The condition is very fine and the stand is very sturdy. It is 32-1/2" long, stands 30 inches tall, and is 17" deep. Besides the two handy drawers, there is an open display space to the left which makes this a very interesting piece with untold uses.